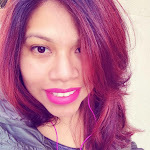 Disclosure: This is not a compensated post. I was invited to this event as media. All words and opinions expressed are 100% my own. It seriously has got to be one of my favorite holidays, I mean who doesn't love donuts. 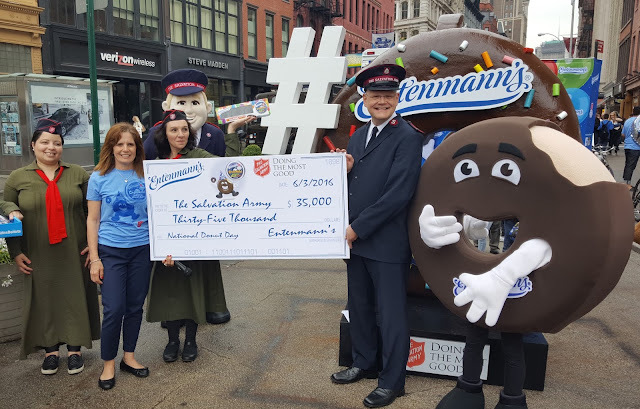 Today we had the chance to celebrate with Entenmann's and The Salvation Army. Entemann's presented the Salvation army with a check for $35,000. You have to love a company that supports local companies like the Salvation Army that helps provide meals and daily programs for those in need. It makes me feel a little bit better when I buy an entenmann's product. 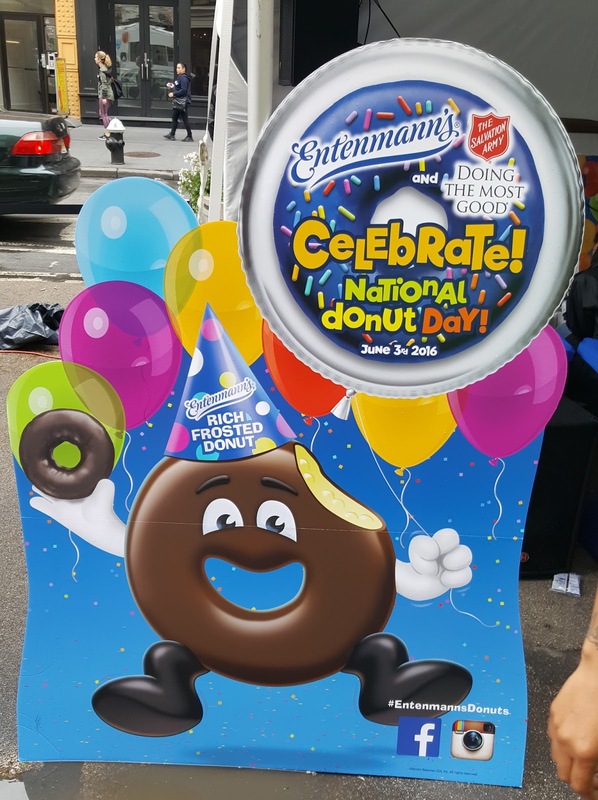 Donut Day was founded in 1938 in Chicago to honor The Lassies who served these treats to soldiers, in order to help raise funds that were needed during the Great depression. 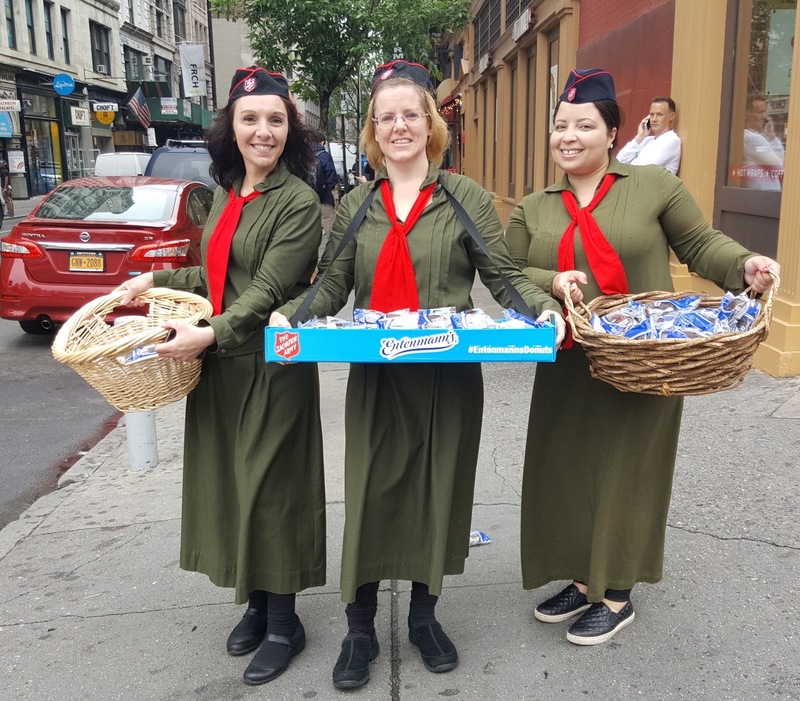 These modern lassies were out today handing out free donuts. Perfect way to end a week and kick off a weekend, with some yummy frosted chocolate donuts. 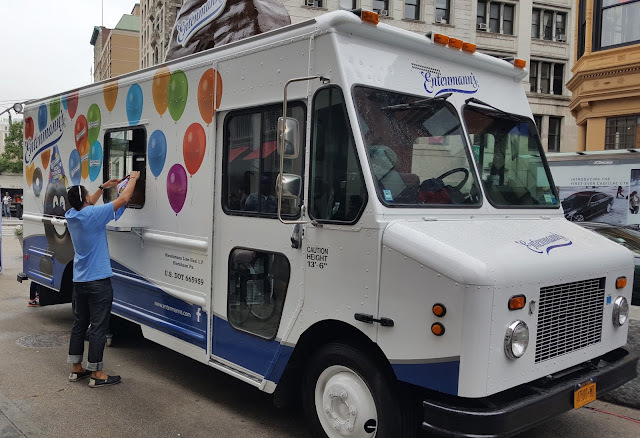 There were fun games with chances at winning some fun goodies, free donuts and coffee. Can you see the joy in the my face?! 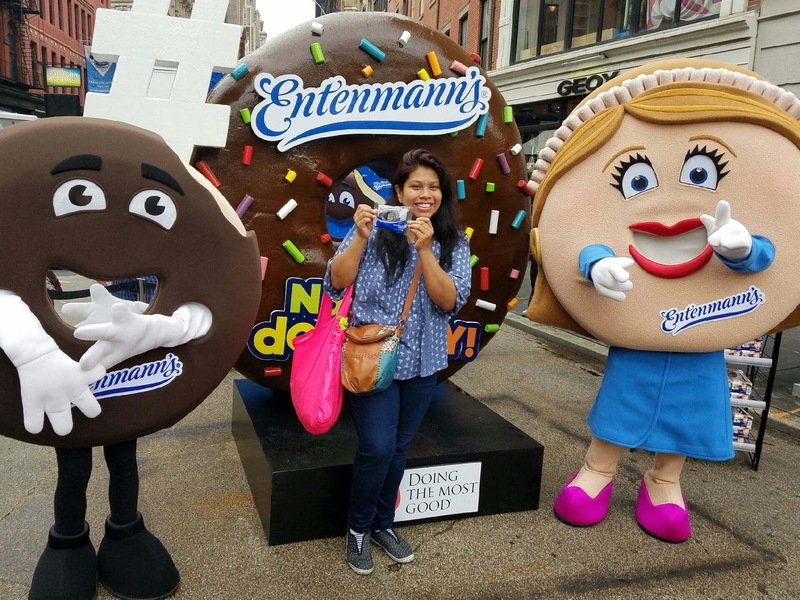 I'm also excited that Entenmann's was celebrating the release of the new frosted donuts. They just keep getting better and more delicious.